Yet another session of Live from Sun Studios is up, this one featuring Adam Levy. As mentioned in the Amber Rubarth post, Adam Levy is part of Norah Jones’ Handsome Band. In the Sun Studio piece, he performs In the Morning, which he wrote and Norah included on her Feels Like Home CD. You may recall that Amos opened for Norah Jones for a while and that debut CD was produced by Lee Alexander, Norah Jones’ bass guitarist and shack-up. Here’s Washing Day, performed by Amber Rubarth and written by Adam Levy. Yes, it do go ’round in circles…. Through the wonders of YouTube, I even found this rendition of Johnny B. Goode performed by Levy and his high school band, back in the glorious year of 1982. Memphis in the Meantime, Baby. Today is a new day. A new year. I’ll be up in Memphis for my new job for the rest of the week, but I’ll be checking in. Working on some thoughts on the music biz that I hope to get up before Friday. Until then, have a great start to ’08, and say a little prayer for me in sub-freezing temps. Until I’m readily available again….a reminder provided by an old friend. The difference between Memphis and Nashville. Of the cities I’ve lived in, Memphis was my favorite. It’s just too far from “home” and from the water, but a great city. It’s on my mind. I loved Memphis in May, The Pyramid, Mud Island, and The Redbirds. The people are inviting, genuine and eclectic. The skyline is dynamic and downtown has seen a pretty amazing transformation. Memphis’ musical history started with W.C. Handy, “King of the Blues”, and was elevated to new heights by Elvis Presley and Sam Phillips. 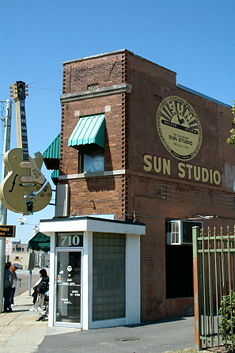 Via Sun Records, Memphis produced Jerry Lee Lewis, Johnny Cash, Carl Perkins and “The King” himself. 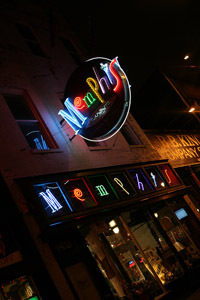 Memphis continues to be a “crossroads” from East to West, North to South, where music, good food, and great people meet. 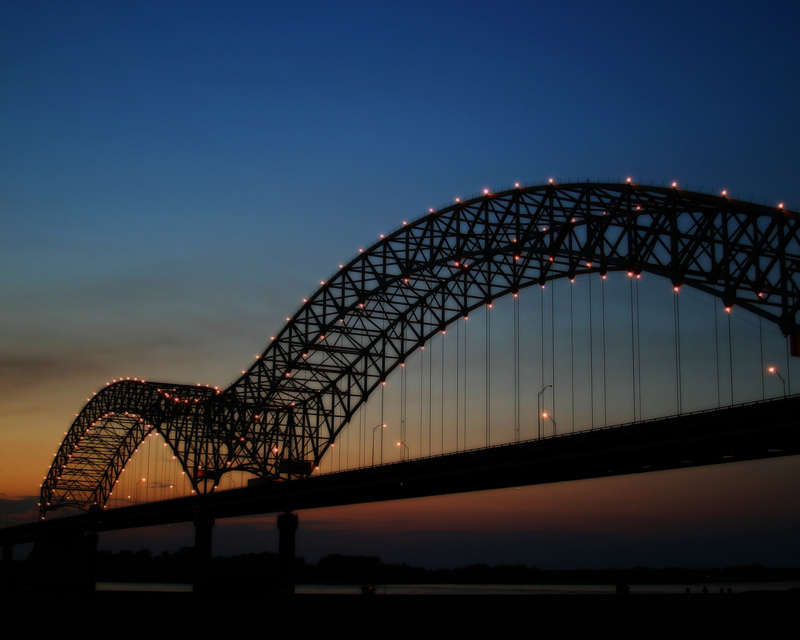 While different from Nashville in the type of music produced, Memphis is a “music” city….just a little more nitty gritty. A storied and turbulent history produces a spirit of perseverance there…an air of survival. It’s truly a Gateway to the Deep South. From B.B. King to Stax superstars, Memphis has produced music that has shaped musical history with its wondrous “soul”.